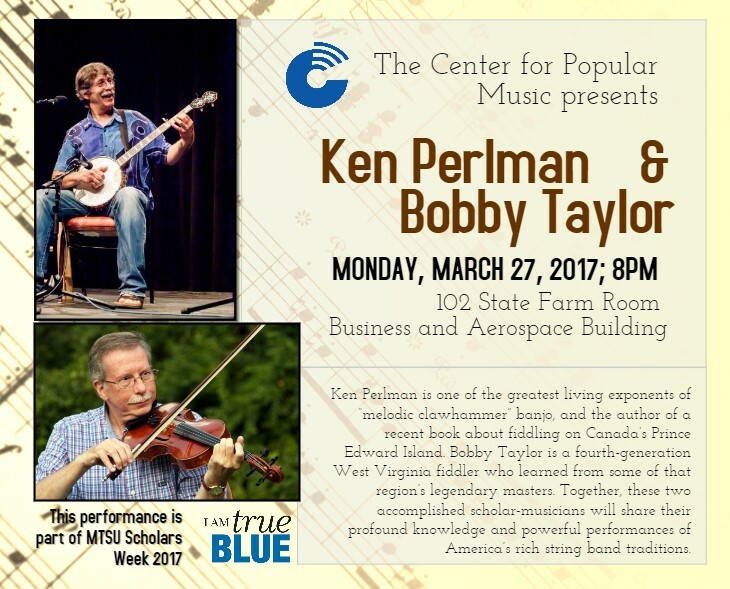 For MTSU Scholars Week 2017, The Center for Popular Music sponsored a free public concert featuring Ken Perlman and Bobby Taylor on March 27. 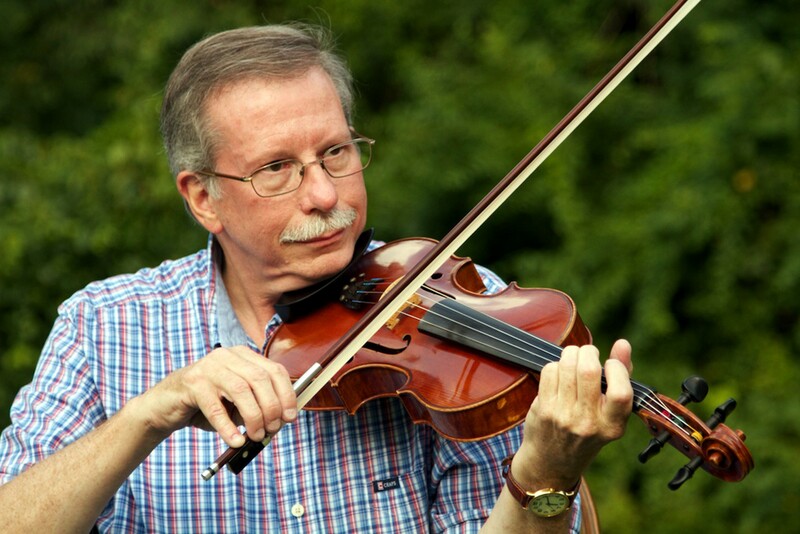 The two acclaimed masters of traditional string band music performed in the State Farm Room in the Business and Aerospace building and shared their profound knowledge of America’s rich string band traditions with the audience. Together, these two accomplished scholar-musicians played old-time banjo and fiddle duets influenced by Celtic, Scottish and Applachia folk tunes. 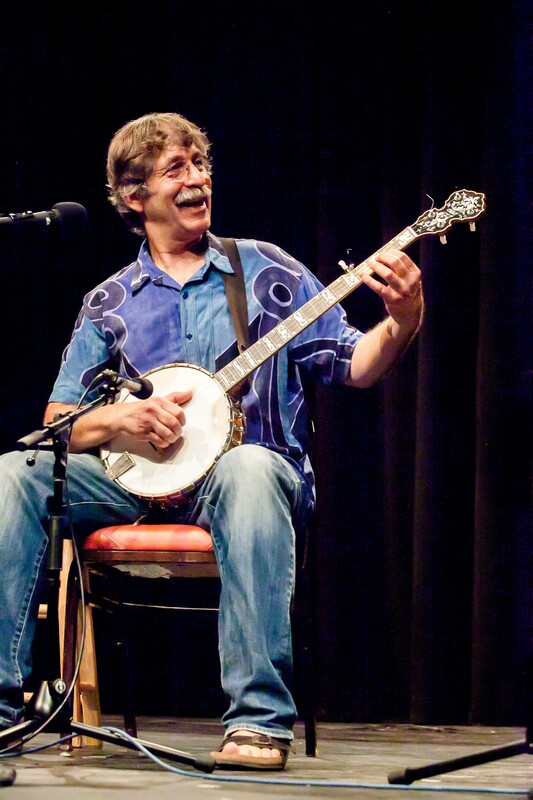 The Center for Popular Music, one of the nation’s largest and richest repositories of research materials related to American vernacular music, is part of MTSU’s College of Media and Entertainment. For more information on The Center for Popular Music and its projects and special events, click here. To see a video of Perlman and Taylor’s performance, click here.